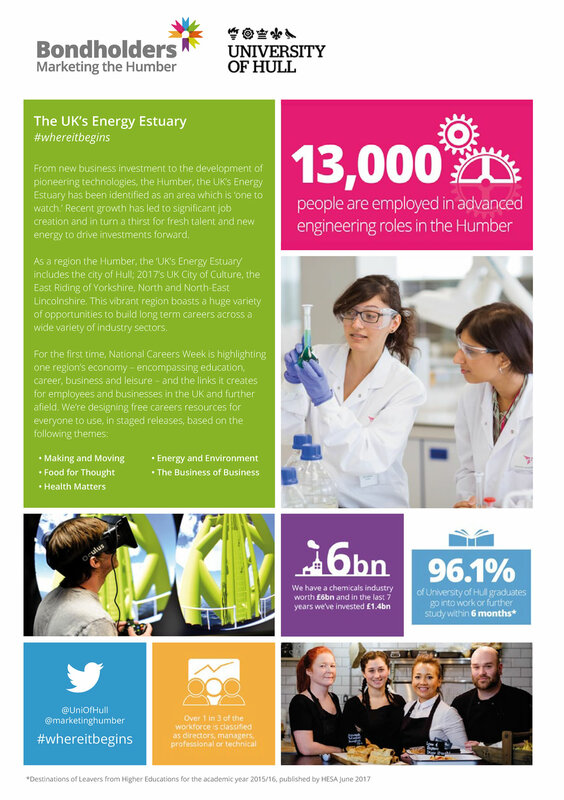 As a region the Humber, the ‘UK’s Energy Estuary’ includes the city of Hull; 2017’s UK City of Culture, the East Riding of Yorkshire, North and North-East Lincolnshire. The Humber, has powered the national economy for decades, bringing to the country, everything from food to freight, coal to cars, passengers to petroleum and is home to the UK’s busiest port complex. 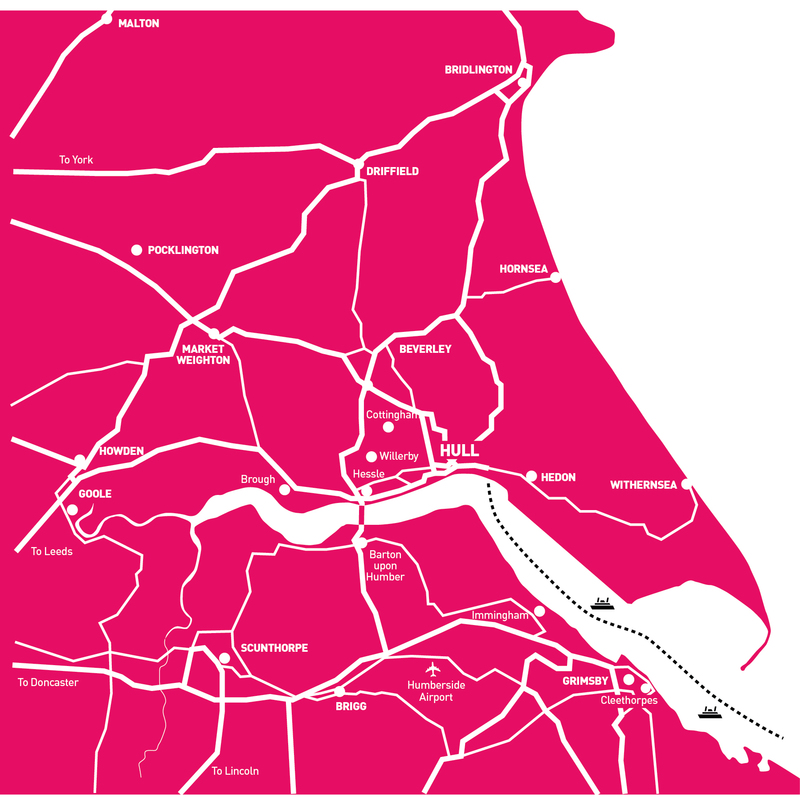 Not only does the Humber face Northern Europe, but its strategic position at the centre of the UK – 200 miles from London, Edinburgh and Rotterdam, also makes it a critical hub for trade and industry. The foundations in which to build long term careers across a wide variety of industry sectors have therefore never been stronger. 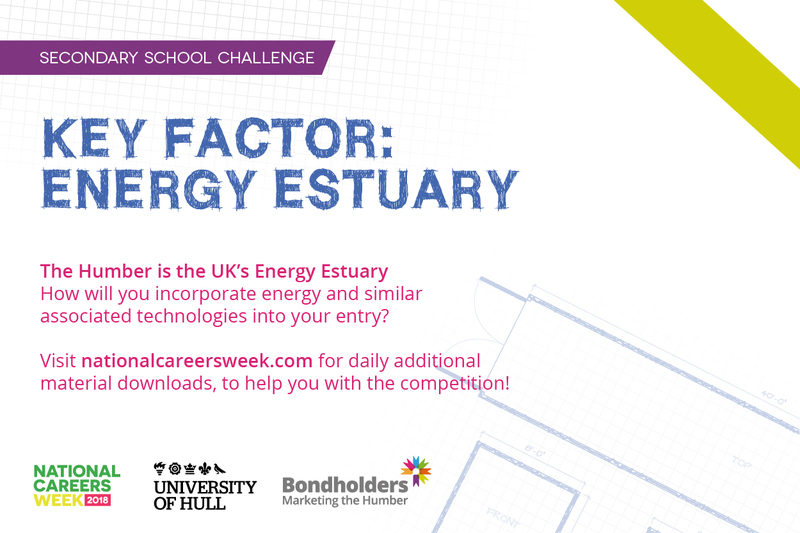 From new business investment to the development of pioneering technologies, the Humber, the UK’s Energy Estuary has been identified as an area which is ‘one to watch.’ Recent growth has led to significant job creation and in turn a thirst for fresh talent and new energy to drive investments forward. You can build your career alongside experts in manufacturing, health, engineering, green energy production, food manufacturing, or benefit from our entrepreneurial spirit and support to become an expert in your own right. Opportunities are vast and varied, you could join a team building 75 metre wind turbine blades, luxury holiday lodges or world-renowned steel structures. Be responsible for transporting products around the world or research and adapt recipes for global food brands or world-leading medicines – taking raw materials and inventing products and services used around the world 24-7 is what we do! All of this whilst being at the forefront of digital innovations and cultural transformation as the area continues to benefit from the legacy of Hull’s reign as UK City of Culture 2017. Of course, it’s not all work and no play – life is about balance after all, and our location means you can benefit from the vibrant city, expansive coast and stunning countryside right on the doorstep. From live music, sport, shopping and great places to eat, to days at the beach, thrill seeking water sports, mountain biking and climbing. Engage your primary and secondary students this year with two superb challenges from Bondholders. 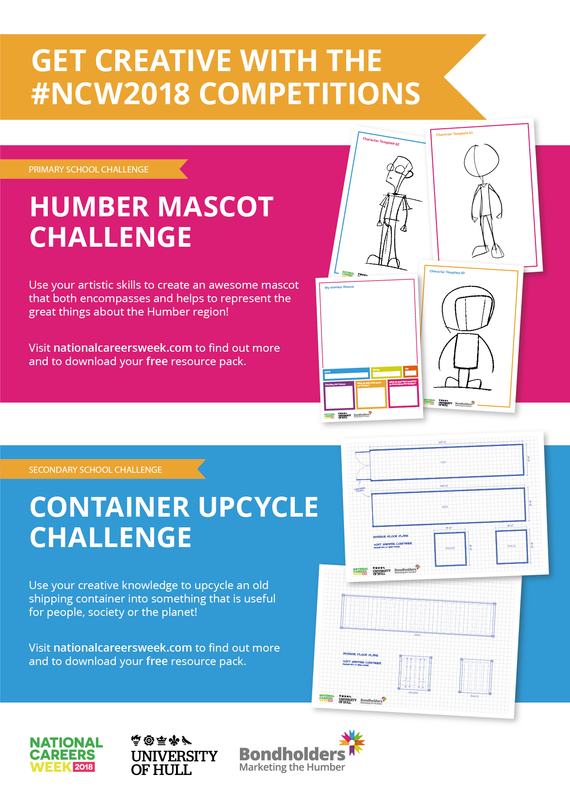 Get creative working on two great design competitions, kindly backed by Bondholders and the University of Hull. Download the starter packs using the links below. More information and resources to support you with this will follow soon! 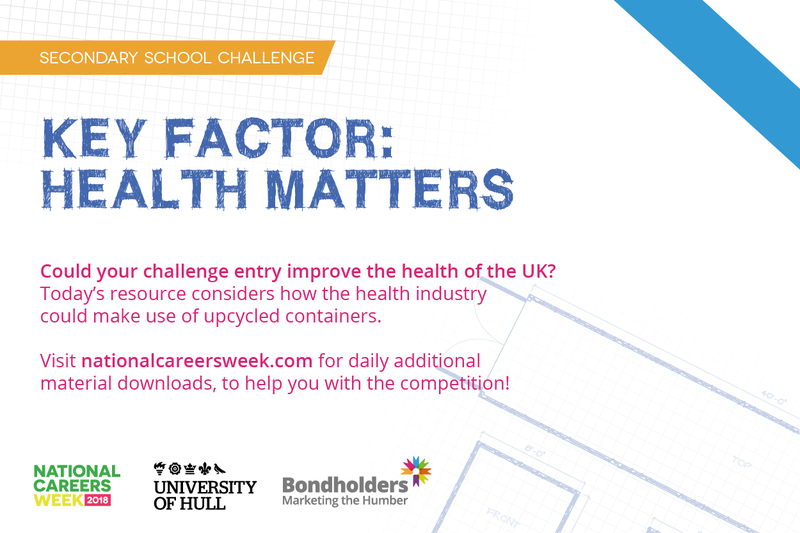 Join the NCW mailing list to be part of National Careers Week.